Are Volunteers Falling in Love with Your Training Process? Training is often the first face to face interaction that your organization has with volunteers. Are supporters loving or hating your training process? Becoming a successful volunteer involves training, mentorship, coaching, leadership, and support. Your nonprofit organization has the opportunity to use training as an outlet to inspire volunteers to give to the best of their ability. Deploying a successful volunteer training process can significantly boost volunteer impact and retention both long and short-term. Countless studies have been conducted that show a relationship between engagement and training. According to Go2HR, 40% of people leave opportunities because of poor training. Another study, performed by Gallup, found that 87% of millennial’s claim that development and growth are very important to them. Is your volunteer training process appealing to the type of supporter your organization is trying to recruit? When developing or optimizing your process it is key to consider what is important to your audience. Here are a few proven ways to create a more appealing volunteer training process. Volunteers are going to gravitate and engage with your training program if it is fun and interactive. The more engaged volunteers are the more information they are going to consume. A recent study revealed that 33% of people who attend training say that uninspiring content that they have to contend with is the biggest barrier to learning. Your nonprofit should focus on breaking down these barriers. Welcome volunteers with a smile, thank them, and exemplify preparation. Let volunteers know what to expect from training and what your organization expects from their participation. Allow volunteers to be involved in training and engage with other supporters to build friendships. Consider including role-playing as part of your training experience (some volunteers are visual learners). Incorporate a period of reflection into your training and give supporters an opportunity to share thoughts. Brainstorm ways to implement gamification as part of your training program (people are competitive). Most volunteers are providing their time in an effort to make an impact. Volunteer training is a great time to reinforce their decision to give, by communicating organizational impact and volunteer impact. Make sure that your nonprofit demonstrates how volunteers have contributed to your mission and goal attainment. Midwest Transplant (VolunteerHub client), for example, recruits’ volunteers who spend their commitment sharing their personal stories of volunteerism and how they have been impacted by the nonprofit’s mission. This is a great way to inspire and engage supporters. It is also a strategy that bridges the gap between volunteers and the clients the organization serves. If your nonprofit is not focusing on recruiting and training people that have a personal connection to your mission you are missing out on opportunity. Make sure volunteers understanding they are advocates for the cause from the start. Ask volunteers if they would be willing to share their personal stories after fulling an opportunity. Allow seasoned volunteers to speak to supporters during training sessions and tell their story. Connect with supporters on social media and fill their feeds with inspirational content. Communicate impact metrics with supporters during training. Hands on experience is a great way to teach volunteers while inspiring them at the same time. In fact, a study, performed by Harris Interactive on behalf of Everest College, found that 52% of Americans listed active participation through hands-on training as the best learning method. People gravitate towards hands-on-experience because it allows them to see what opportunity fulfillment is going to be like, connect with other volunteers, and see the impact of an opportunity first hand. Implementing a period on hands-on training will also give your organization an opportunity to see if a supporter will be a good fit for a specific role. Running an effective volunteer program requires a long-term commitment to supporters. 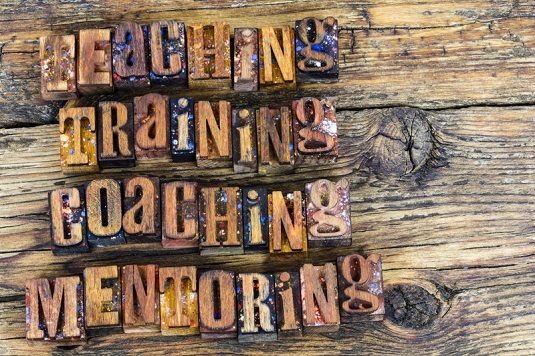 Providing volunteers with mentorship and coaching after training will help retain them and inspire them to continue to give in the future. Make sure that your volunteers realize how important they are to the organizations mission and demonstrate this importance by investing time and resources into them. Ready to Revamp Your Volunteer Program? Your volunteers are some of your organization’s most valuable resources. Are you getting the most value from each hour donated to your cause? Complete the form below to receive our white paper that provides helpful tips for streamlining volunteer programs and keeping existing volunteers engaged. Get Expert Help Interested in learning more about VolunteerHub? Schedule a demo with our team today. What to Look for in Volunteer Management Software Approximately half of all nonprofits in the United States have yet to adopt a volunteer management software application. Volunteer Management ROI Volunteer management software can deliver an ROI to your organization in a variety of ways. Here is an infographic detailing the top 5 ways volunteer software can enhance impact. Eric Burger is the marketing communications manager for VolunteerHub, an organization that provides volunteer management solutions for nonprofits across the globe. Eric has worked in the B2B software industry for the past two years and has over five years of experience in digital marketing. Stay up to date with VolunteerHub and the latest information on volunteer management. See how that makes us the most powerful platform on the market.